It's seriously the most wonderful time of the year. Wouldn't you agree? 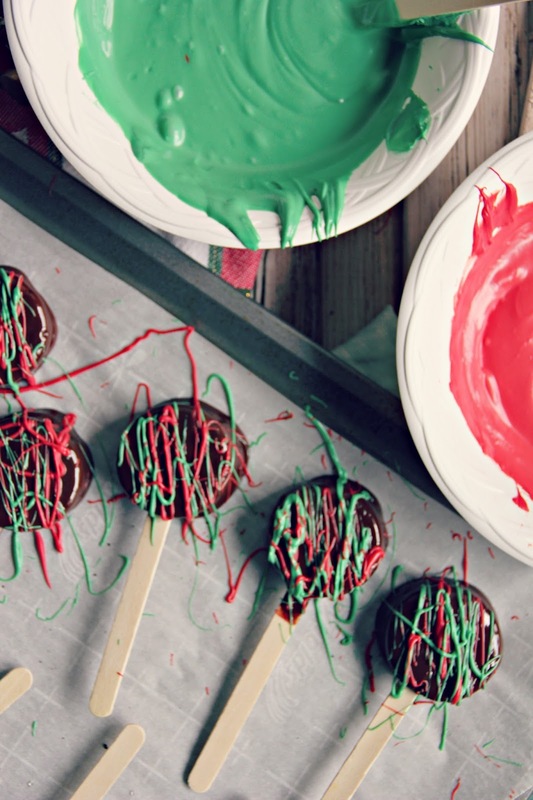 Sure, the Holidays can be crazy busy and stressful, but aren't we all busy doing fun things? I just love all the Christmas gatherings, events, and special baked goods. I love how warm my home feels with the tree all lit up. It's a time to make memories and enjoy time with loved ones. Like I said, the most wonderful time of the year. 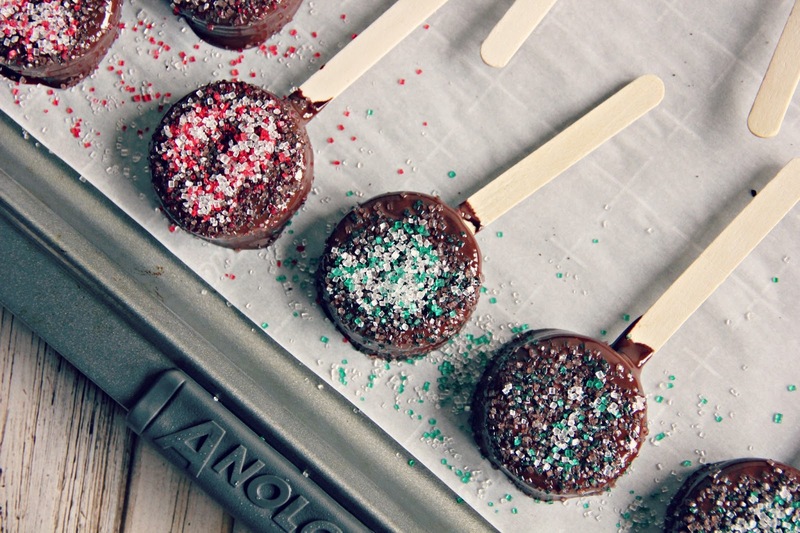 Ok, let's talk for a minute about the holiday baked goods. 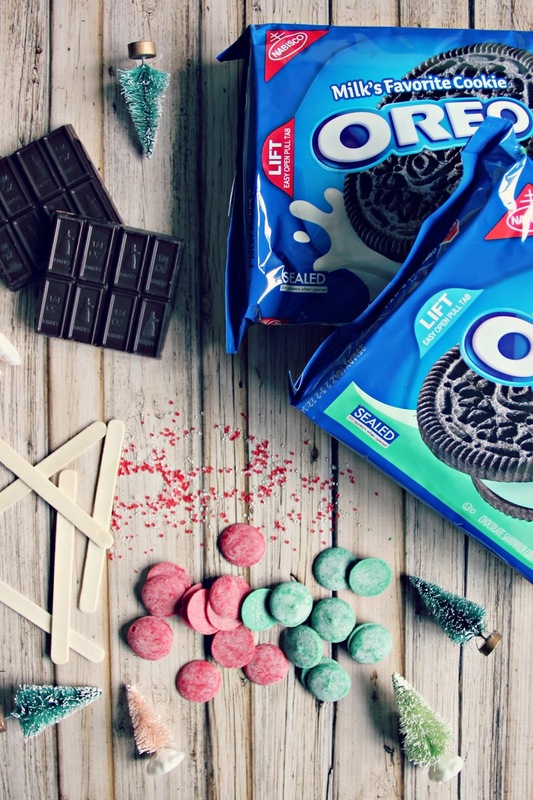 With the convenience of Kroger and the fact that I have never met someone who doesn't like OREO cookies, let me share with you a tried and true official OREO holiday recipe to help you spread some OREO Christmas cheer. 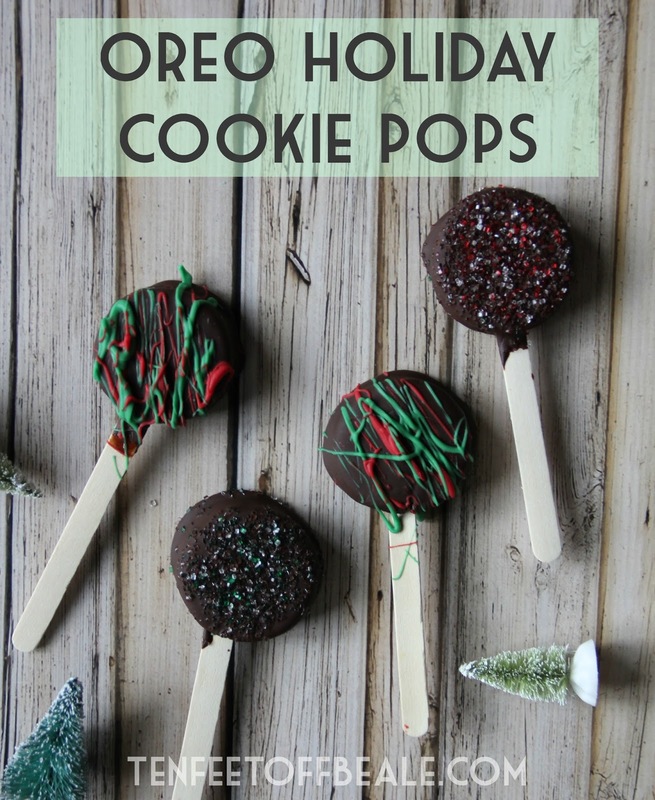 Let me start off by saying, these Holiday OREO Cookie Pops are easssyyyyyy to make and will be super impressive whether you make them to give to your kids, to bring to a holiday party, or to gift to friends and family (or all of the above). 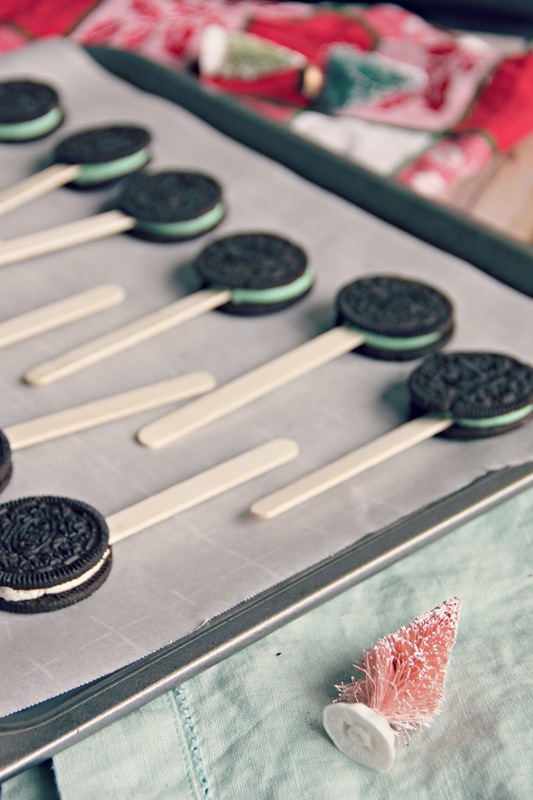 - Insert wooden pop sticks into filling in the center of each cookie: place on parchment-covered baking sheet. Freeze 10 minutes. 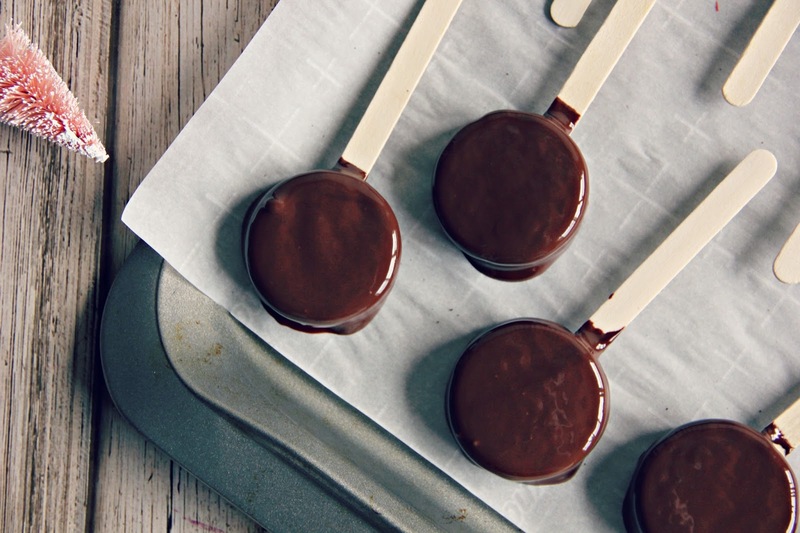 - Mix melted chocolate and oil in a small bowl until blended. Dip cookies, 1 at a time, in the chocolate mixture, turning to evenly coat both sides of each cookie. Return to baking sheet. 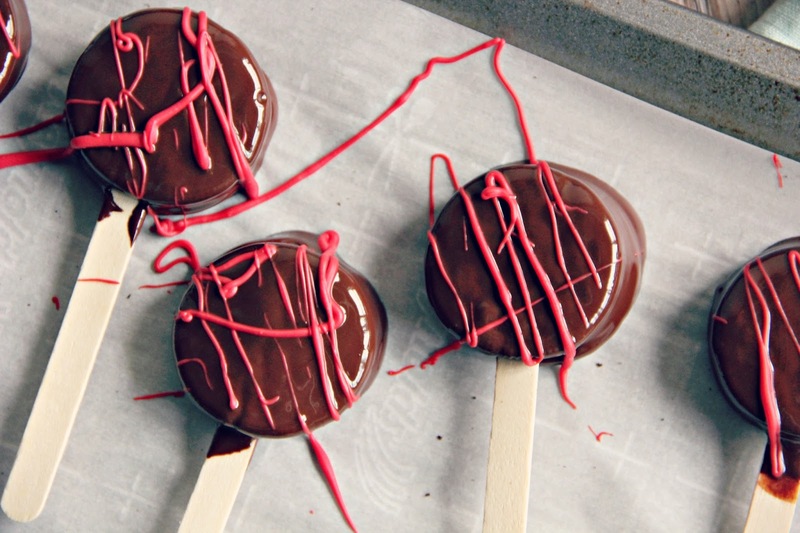 - Refrigerate 30 minutes or until chocolate coating is firm. 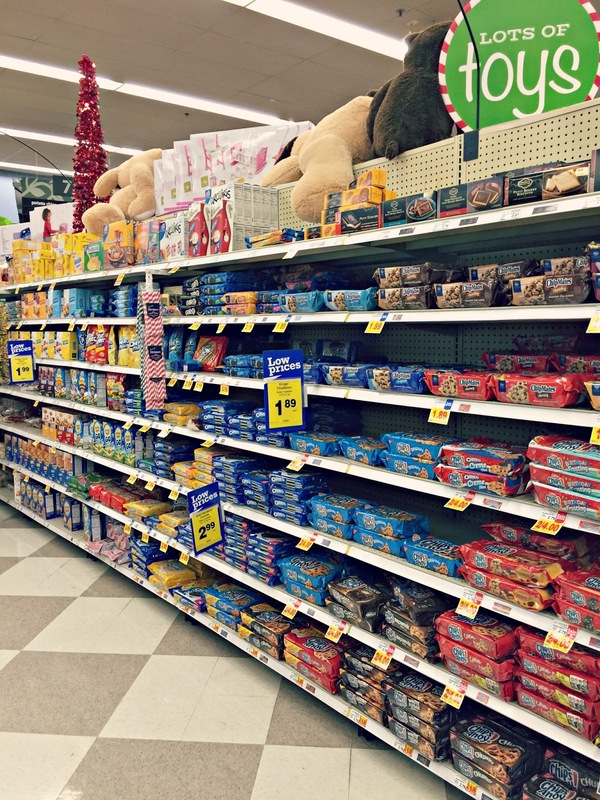 So, the next time you're in Kroger, you miiiiight want to pick up some OREO cookies. 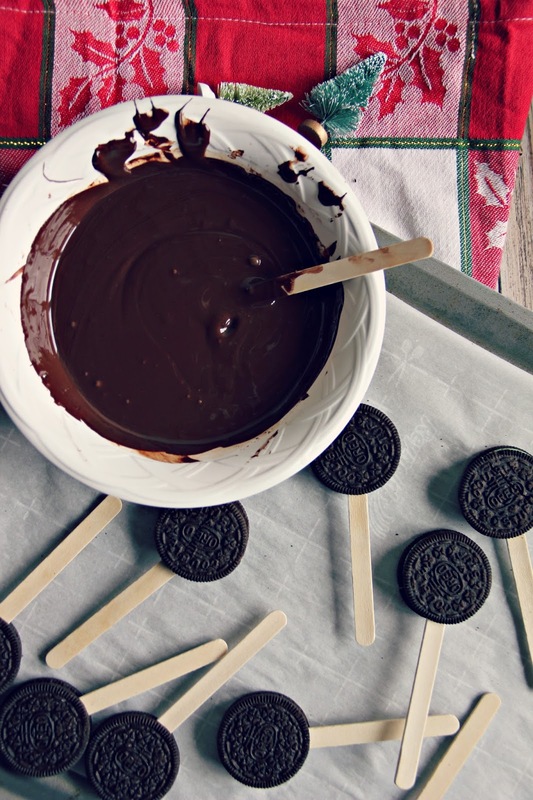 Which flavor OREO are you going to use in this recipe? Oreo is my favorite biscuit ever. Excellent post. Thanks for sharing such a informative post.